How mature is your organization’s grant management process? How do you measure this? As the wave of IT modernization in state and local government takes hold, it is critical for grant professionals to have a framework to answer this question. Without a clear framework government agencies run the risk of making poor investments in technology and automating an immature grants process. The Grants Process Maturity Model (GPMM) is a framework that focuses on continuous improvement of grant management processes across five levels. Each level reflects how well a state or local government has defined common and repeatable processes to effectively manage their grants. The first level describes organizations without repeatable processes, where much of the work is performed on an as-needed basis. At the highest level are entities that use defined and repeatable processes, collect metrics to help them optimize their grant management processes, and, in some cases, become thought leaders and first-adopters. The application of GPMM focuses on process maturity rather than the complexity of an entity, which allows this framework to be applied to each of the three types of grant office structures. The five levels of the model are described below. At this level, the grant management process is virtually nonexistent, without consideration of wider application beyond a particular grant opportunity. Documentation is limited and little input is given to improving processes for the future. If your department is "chasing dollars," this might be your level. Grant management processes are defined among immediate stakeholders or within each department, but not across the organization. Processes may be repeatable. There are no uniform guidelines to allow collaboration among departments within larger organizations. An organization has defined grant management processes and each department is tasked to follow the defined process. There is limited oversight, or none at all, to ensure that the defined process is adopted and followed. An organization has defined grant management processes and each stakeholder or department is tasked to follow the defined process. There is clear oversight to ensure that the defined process is adopted and followed across the entire organization. An organization has defined grant management processes that are clearly understood, adopted and followed across the entire organization. Performance is measured and information is used to continuously improve grants management; data such as win rates, unutilized funds, and late tasks are available to managers. At this level you will see significant ROI even in the most challenging circumstances. As an entity moves up or down levels in this model, certain characteristics become more pronounced. As processes move up, efficiency improves, grant dollars increase and win rates generally get better. Overall capacity and capabilities improve, and projects are funded by more than federal grants. The effectiveness of an entity's grants process is very high. As processes move down each level, the overall effectiveness decreases. Deadlines are missed, expenses are unaccounted for and failed audits are more frequent. Misconceptions become an increasing challenge as well. Staff begin to view grants as impossible to manage and “not worth the money.” This leads to important projects that could have been funded by grants to be ignored or missed. Here are some key concepts that you should consider as you determine your structure and evaluate your grants process maturity. Grant management structure and maturity are not the same. Having a centralized structure does not necessarily mean you have mature grants processes, and vice-versa. 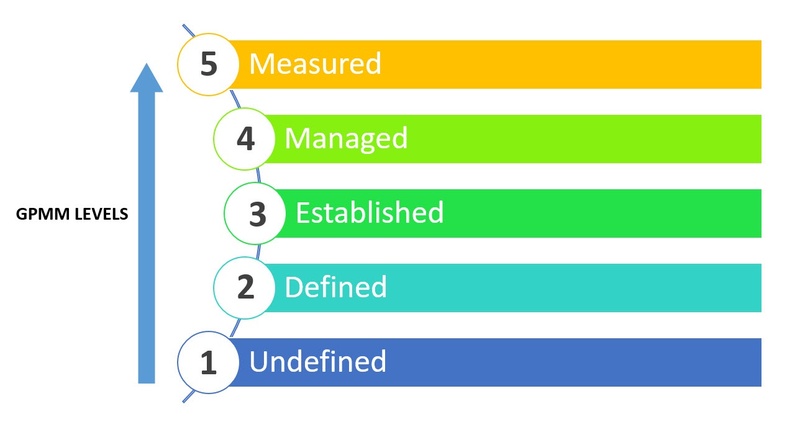 Process maturity is defined by having well-defined, repeatable processes that are understood, practiced and optimized throughout an organization. That can happen in all three structures, but results show that a centralized system is most effective. Grant management structure and maturity are interdependent. Process maturity must be a focus in each structure. In order for your organization to effectively manage grants, processes must be in place. Understand the organization, then build maturity. 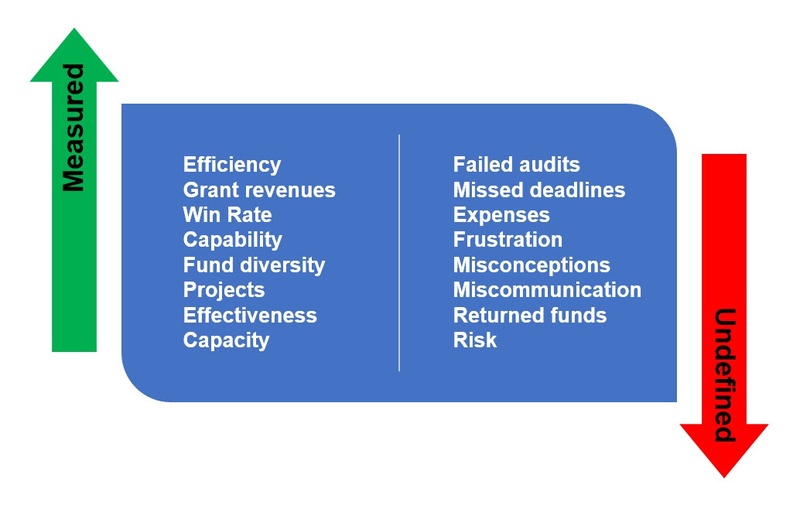 Organizations must understand their grant management structure before defining processes. Certain grant processes that work for centralized structures will not work in a decentralized structure. Know your structure so you can develop a realistic plan. Detroit, MI – 88% reduction in audit findings, zero questioned costs and over $202 million in grants and donations. Learn more. Arizona - $500K in reduced administrative costs annually. 24% increase in Federal grant revenues. Learn more. Denver, CO – Improved compliance to Fiscal Accountability Rule (FAR) 9.1 to 90%. Learn more.